Golf Magazine has named five Nicklaus Design courses to its list of the Top 100 Courses You Can Play, published in the magazine’s September issue. The biennial list is the magazine’s guide to the finest public-access golf courses in America. Included were the Nicklaus Course at Pronghorn Golf Club & Resort; The Challenge at Manele; Great Waters at Reynolds Plantation; May River Golf Club at Palmetto Bluff; and the Ocean Course at Hammock Beach Resort. The Nicklaus Course at Pronghorn Golf Club & Resort ranked 38th on the list—matching its placement on the 2012 list. Located in Bend, Oregon, the course opened for play in 2004 and became the first Jack Nicklaus Signature Golf Course in the state. 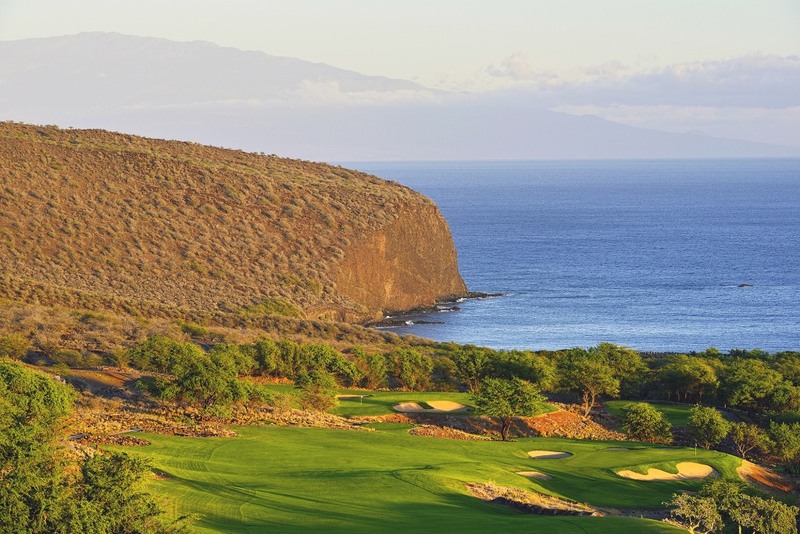 Manele Golf Club on the island of Lana’i, Hawaii, moved up six spots from its 2012 ranking on the list to No. 40. Renovations are underway, and the Golden Bear last visited the property in March to make improvements to both courses located at the Four Seasons Resort Lana’i. Great Waters at Reynolds Plantation comes in at No. 46 on the Top 100 Courses You Can Play list. The Jack Nicklaus Signature Golf Course is located in Greensboro, Georgia, and opened for play in 1992. The course served as host to what is now known as the WGC-Accenture Match Play Championship from 1995 to 1997, and later this month will host the Golf Channel’s first-ever Big Break Invitational. Ranking 51st again is May River Golf Club at Palmetto Bluff. The Jack Nicklaus Signature Golf Course is the central amenity to The Inn at Palmetto Bluff in Bluffton, South Carolina. The course weaves along the banks of the May River in the Lowcountry, but uniquely features bunker sand imported from Ohio. The Ocean Course at Hammock Beach Resort improved three spots over its 2012 ranking to No. 72 on the Top 100 Courses You Can Play list. Located on Florida’s east coast in Palm Coast, the Jack Nicklaus Signature Course opened for play in 2000. Six of the course’s 18 holes play along the Atlantic Ocean. For more information on these and other Nicklaus Design courses, visit nicklaus.com/design.